San Francisco, CA — A scathing report from a local media team has revealed that cops across the bay area are losing their weapons at an astonishing rate — nearly one gun every other day. In total, since 2010, according to the report, Bay area cops lost 944 guns — and the consequences have proven to be deadly. 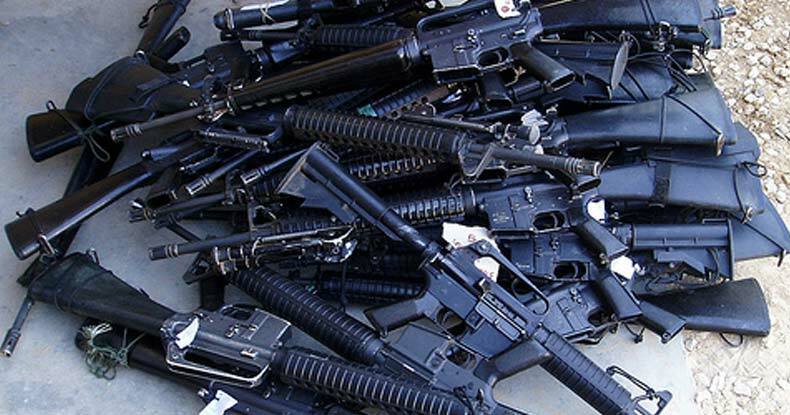 Included in this missing cache of firearms are assault rifles, tear gas grenade launchers, sub-machine guns, sniper rifles, and hundreds of handguns. Proving that gun control is a myth reserved only for tyrants, these guns, which are only entrusted to law enforcement officers, have made it to the hands of criminals and tragically used to murder innocent people. California is one of the hardest states to obtain a firearm, unless, of course, you take it from a cop. 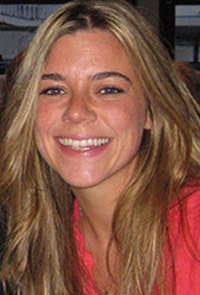 According to the report by Mercury News, a year after a bullet from a federal agent’s stolen gun killed 32-year-old Kate Steinle on a San Francisco pier, this news organization surveyed more than 240 local, state and federal law enforcement agencies and discovered an alarming disregard for the way many officers — from police chiefs to cadets to FBI agents — safeguard their weapons. Their guns have been stolen from behind car seats and glove boxes, swiped from gym bags, dresser drawers and under beds. They have been left on tailgates, car roofs and even atop a toilet paper dispenser in a car dealership’s bathroom. One officer forgot a high-powered assault rifle in the trunk of a taxi, reports Mercury News. One would think that after a young woman is killed with a cop’s stolen weapon that police would crack down on officers who lose their guns. However, one would be wrong. According to the report, even after Steinle’s death, law enforcement agents have continued to leave guns available in their cars. Four FBI guns have been stolen from vehicles in the Bay Area this year, including three in Benicia; Salinas police had three stolen from cars in a six-week period in April and May. And a San Jose Police cadet resigned on the eve of becoming an officer after his gun was stolen from his car in late October while he was in the Benihana restaurant at Cupertino’s Vallco Shopping Mall. Only months after Steinle was murdered with a police-issued weapon, a local muralist, Antonio Ramos was gunned down with a weapon stolen from an ICE agent’s parked car in San Francisco. As is the case in most incidents of police incompetence and law breaking, discipline for losing weapons is rare within law enforcement. With secretive police personnel laws in place, it’s almost impossible to find out what, if any, punishment officers received for putting guns into the hands of murderers. The few cases Mercury News uncovered showed an insultingly weak punishment for some officers. When an unidentified Napa police officer left an assault weapon in the trunk of a taxi, after the taxi driver turned it in, the discipline was a written reprimand, Chief Steven Potter said. When another cop had a weapon stolen from his home, he received a lecture and was told to buy a gun safe, according to the report. Mercury News also found that some of these gun-losing cops aren’t even required to pay for the weapons they lose. These missing police guns in the Bay area prove two key points. The first point is that police are human and will make mistakes — often ones that lead to the death of innocents. The second point these missing guns make is proving effective gun control to be a myth. California gun laws are among the strictest in the nation. Assault rifles, high capacity magazines, and large caliber rifles are prohibited. In order to purchase a gun in California, citizens must jump through a myriad of bureaucratic hoops just to get a license for a “California legal” handgun. Even though police are the only ones allowed to carry large caliber sniper rifles, criminals have gotten their hands on them — from the cops. The ridiculous nature of calling for cops to be the only ones carrying weapons is revealed by this scenario. As politicians call to limit the 2nd Amendment for citizens, every year cops are putting hundreds of weapons into the hands of criminals.